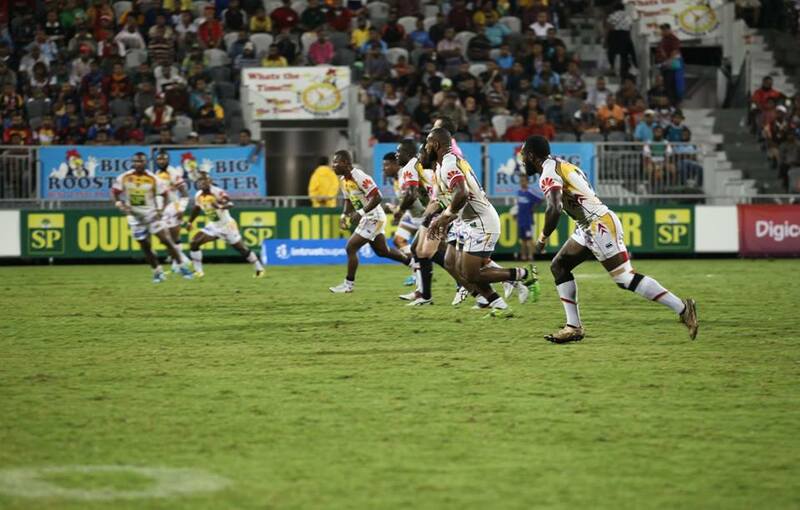 The Papua New Guinea SP PNG Hunters have finalized their final 29 man squad after a grueling three week pre-season training. Hunters coach Michael Marum made the announcement yesterday following their training session at the National Football Stadium in Port Moresby. The make-up see’s 14 players from last season retained, nine new players brought in and six amongst the returning players from the 2015 season. The 14 retained are Adex Wera, Ase Boas, Bland Abavu, Buttler Morris, Edward Goma, Enoch Maki, Esau Siune, Henry Wan, Ismael Balkawa, Silas Gahuna, Stargroth Amean, Wartovo Puara Jr, Watson Boas and William Aquila. The new inclusions are Anderson Benford, Radley Bawa, Eddie Dafa, Junior Rop, Karo Kauna Jnr, Moses Meninga, Nixon Put, Wawa Paul and Wellington Albert. Making their return after not being part of the squad last season are inaugural skipper Israel Eliab (Izzy), backrower David Loko, utility Lawrence Tu’u, dynamic Noel Joel, Stanton Albert and the Wapenemanda ‘Mac Truck’ Willie Minoga. 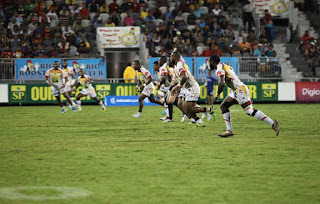 “The PNG RFL Board through Chairman Sandis Tsaka and Hunters Chairman Graham Osborne has endorsed the 29 man squad to take part in this year’s Intrust Super Cup season,” Marum said. He added that it was a hectic three weeks as the hopefuls had been crammed into a tight training schedule which was supposed to be for six weeks. “We had a few setbacks with the FIFA U20 World Cup and we started five weeks late but we managed to squeeze a six week program into three weeks with the fitness test on Wednesday.